Our display at this year’s Curious ComiCon was not only the largest that we have put together for an event in Nanaimo with over 20 feet of display space but it was also our tallest with the largest model reaching 5’11” tall! 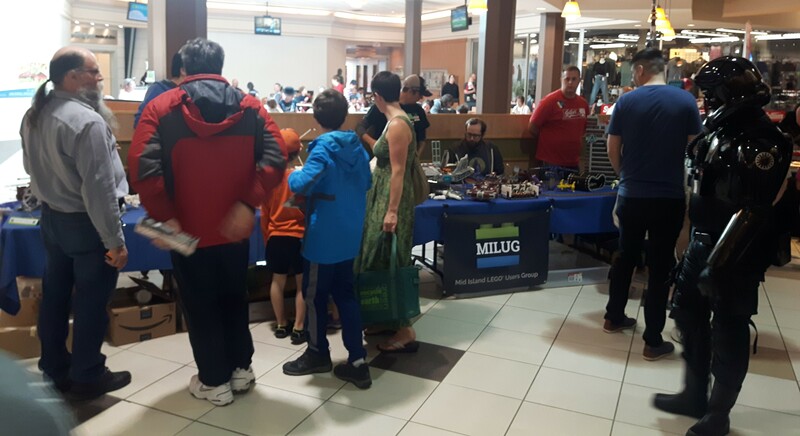 Over 4,200 people came out to Country Club Centre on May 5th to enjoy the sci-fi, fantasy, and comic inspired MOCs (My Own Creations) built by 9 different MILUG members. 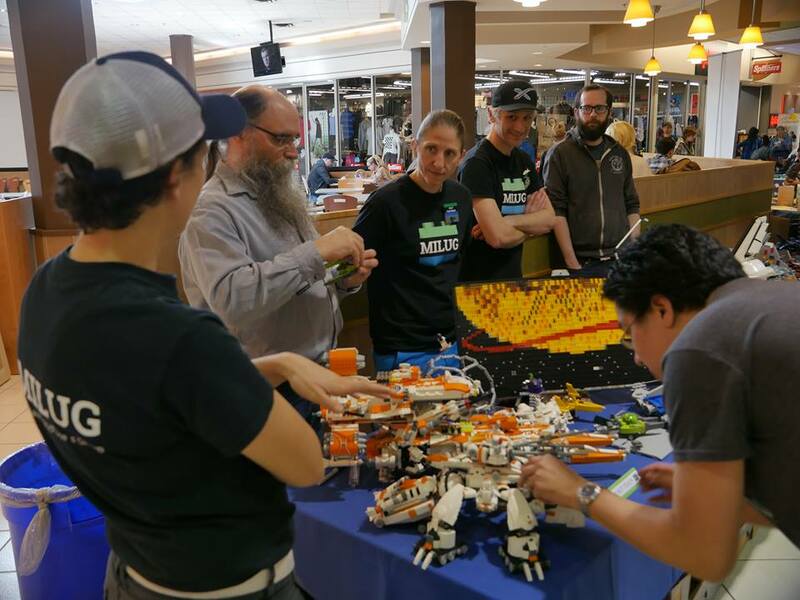 Throughout the day visitors were treated to a demonstration by one of our members who builds detailed MOCs with detachable components and moving parts. 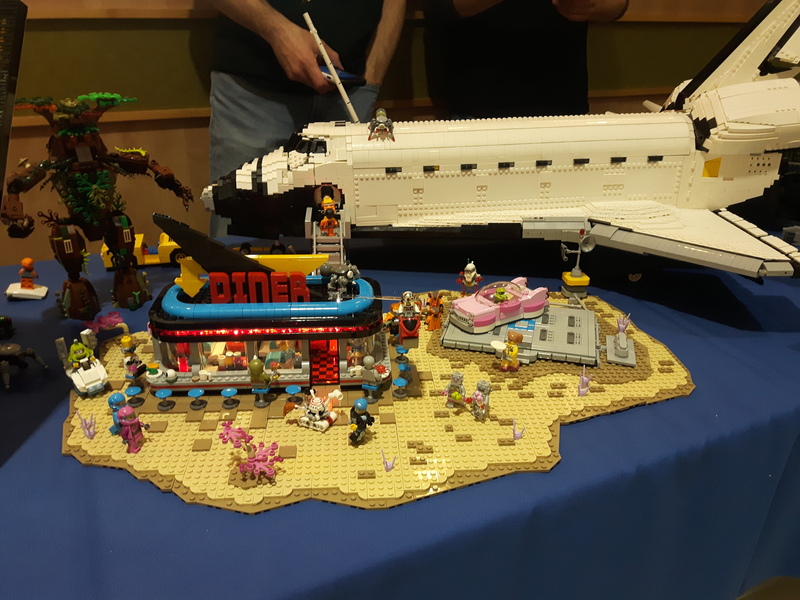 Although there were a lot of great small builds on display it seems that a sub-theme of this event was go big or go home! 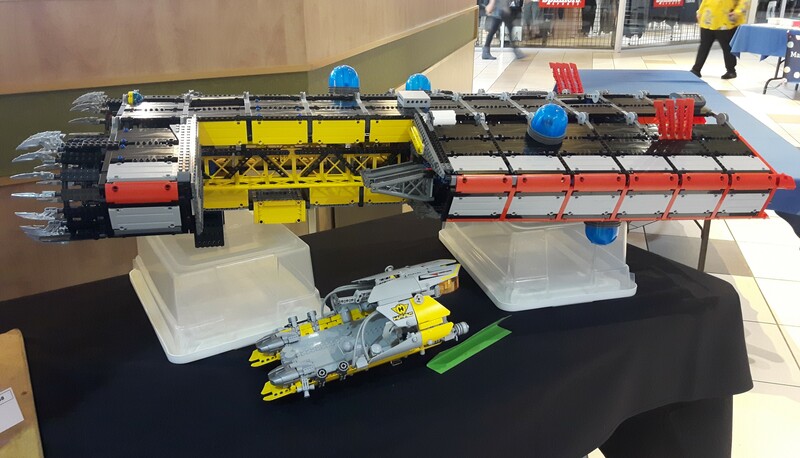 These included an iconic NASA Space Shuttle over 3 feet long (currently on display at the Nanaimo Harbourfront Library), a massive 4 foot ‘swoosh-able’ technic spaceship and of course the almost 6 foot tall Isla Roca tower, which was also the tallest structure at BrickCan 2018! 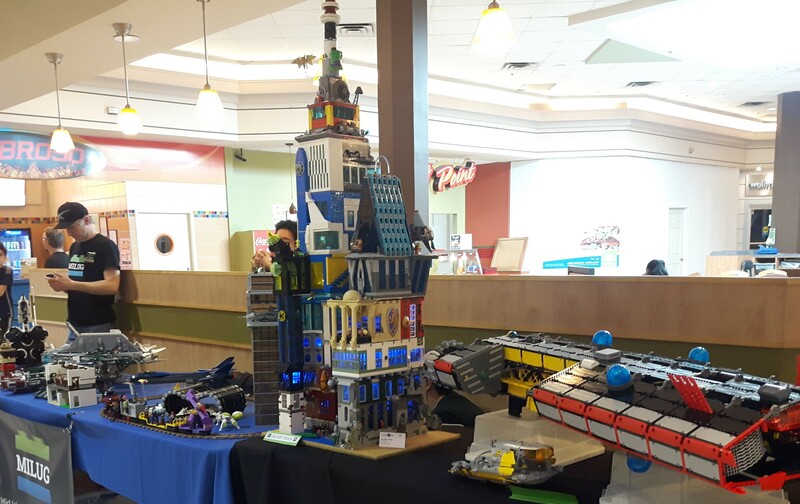 The Isla Roca tower took you on a journey through many LEGO® themes starting on the ground floor with Medieval and Pirates and moving up through other classic themes including Space and finished off with DC and Marvel at the top. 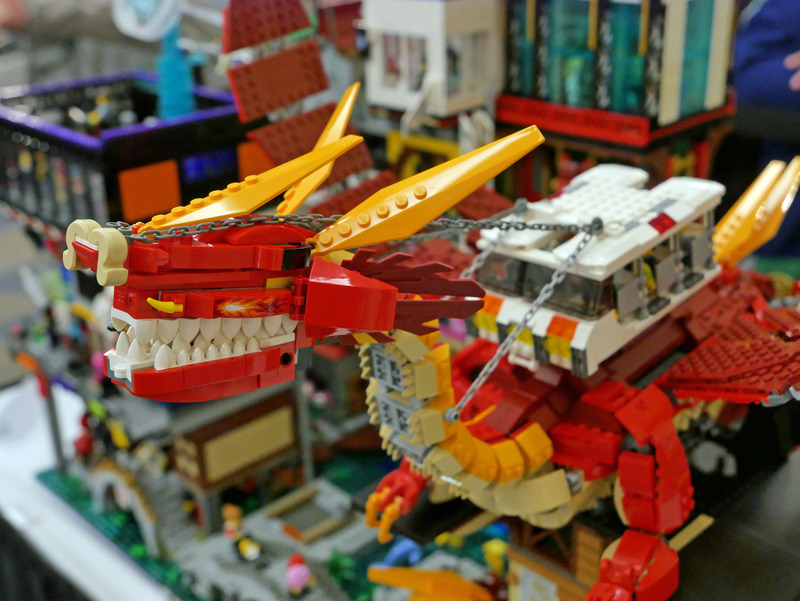 If you missed seeing this MOC in person it is featured in this video where the builder describes the inspiration behind it and his build process. 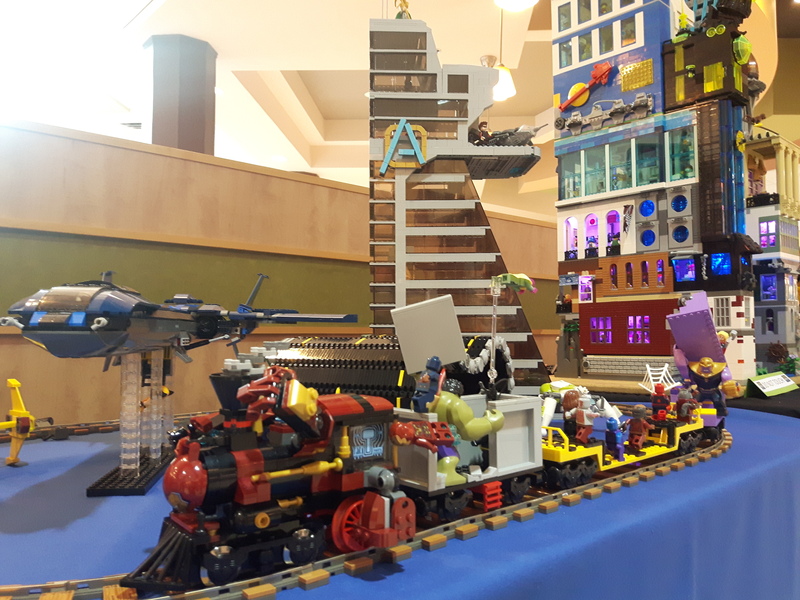 The MOCs on display really brought space and comics to life and included a retro space diner, Avengers train, Avengers tower, a classic space mosaic, and a clever MOC depicting a never ending road trip. Our newest member really outdid himself bringing more than half a dozen amazing MOCs featuring many transforming components and cool features. The playability of his MOCs are out of this world and definitely worth checking out at our next event! To view more photos of this event please visit the MILUG Facebook page. Next story New Hogwarts Castle Coming Soon!